Creating a Google Adwords campaign helps your company draw more traffic to your website and increase sales. Last week, we went through the first half of the process, including choosing your campaign name and type and selecting your budget and bid strategy. Today is when we get to learn the elements to complete this advertising technique. This is the fun part! The "Create ad and keywords" page allows you to select the format of your ad, write the content and narrow down searchable keywords for your customers. 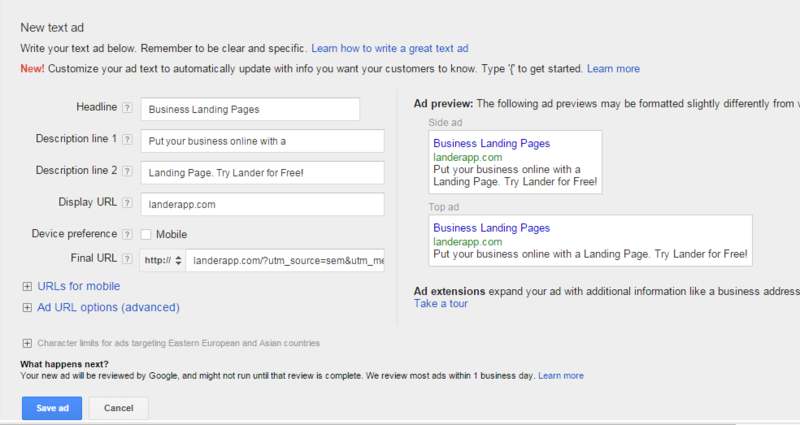 Several types of ads can be run from one AdWords account, sometimes within the same campaign. Once you choose your ad type, it's time to get down to the details: entering your ad's headline, description, keywords, landing page and display URL. Although the page starts with writing your ad's headline, skip down to the keywords portion. This aspect is especially important as keywords are what make your ad stand out when people search online. Start with 10-20 words you think customers would use in a search query and could yield your ad in search results. Use one or more of your keywords in your headline. Your ad allows for about 25 characters in this portion so keep it short, sweet and to the point. Next is the description of your ad. With 35 characters on each explanation line, your ad will be more profitable if you describe a benefit on "Description line 1" and an offer on "Description line 2," according to Entrepreneur. While your keywords, headline and descriptions were the more creative aspects of building your ad, the last elements have to be correct for online searchers. The following line calls for your display URL, which is shown directly below your headline to customers with your ad. It is usually your business's home page. Lastly, add the landing page you want to specifically direct customers to. If your company offers plumbing services, for example, the display URL would be your website's home page, while the landing page would be for a specific service, like repairing swimming pools. Developing your ad takes both practicality and originality. Your company wants to direct people to its landing page, while also engaging potential customers enough to stand out. Remember: Don't forget to save! 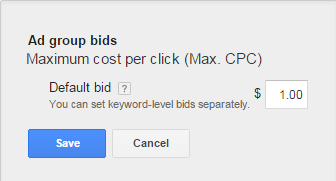 This is the maximum amount of money you're willing to spend per click. Be realistic about these figures and be aware that your primary keywords will each require a budget of their own. If your budget is limited, it may be a better strategy to focus on the lower-cost keywords. That way, if you hit your limit within a short amount of time with the major keywords, your ad won't completely disappear from search results. You've completed all the intricate and essential details of your first AdWords campaign and now it's time to set it in motion. Take one last look over all of your ad's elements to ensure there are no grammatical errors or mistakes that need to be fixed. If everything is in order, you can enter your billing information. As soon as that data has been confirmed, your campaign will go live! Congratulations, your Google AdWords campaign is now complete. Remember that all this information can be altered as you see fit. 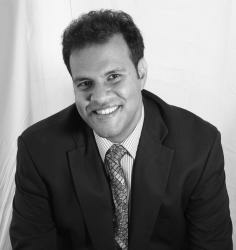 The key is to update your ads as you begin to see positive progress from them. You'll quickly realize what keywords work best and what landing page increases your profits most. With regular maintenance and a creative edge, your AdWords campaign can help your company attract valuable, new customers.